(Newser) – If you drive a Volkswagen diesel model, your car might be getting recalled—though not for safety reasons. 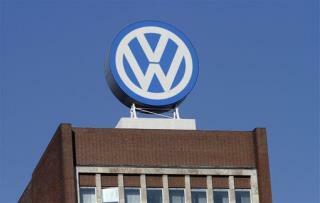 The Obama administration has ordered the carmaker to recall about 482,000 cars because, it claims, Volkswagen put illegal software in those cars designed to get around environmental standards, the New York Times reports. So-called "defeat devices" are able to detect when the car is getting tested for emissions; during those times, it turns on its full emissions control systems, but those systems remain off otherwise. Therefore, while the car is actually being driven, it pollutes much more than the manufacturer is reporting, the EPA says, thus creating ozone and smog. Next they'll consider re-introducing the Zyklon-B model... Killer mileage there too. Ridiculous. Everyone knows that corporations and businesses might make unintentional mistakes on occasion, but they would never intentionally break the law to make money.